The Quilters’ S.O.S. 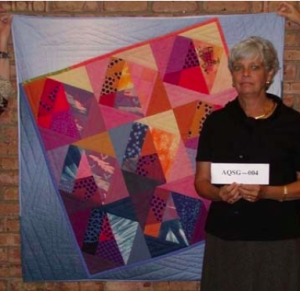 – Save Our Stories (QSOS) interviews are a rich resource of detailed accounts of quilters’ experiences in the heady times of the late 20th century quilt revival. The last two decades of the 20th century saw the rise of quilt guilds, quilt magazines, quilt museums, national quilting associations, and large-scale quilt events, providing opportunities for owning businesses, writing, teaching, judging, and appraising. All the streams were moving full-steam ahead. You could learn to quilt. You could enter a quilt. You could find a career. You could launch a business. Even without the advances of the internet and social media, the effects of new quilting opportunities reached far beyond urban and suburban areas. The earliest QSOS interviews beginning in 2001 are a good place to start one’s research on the late 20th century quilt revival. The QSOS interview of Linda Claussen of Knoxville, Tennessee covers a wide variety of topics pertaining to the last two decades of the 20th century. Linda grew up in New Jersey with a mother who quilted. Her Little Women appliqué quilt was made with pattern sheets sold through Ladies’ Home Journal. When Linda made a quilt for her son in 1968, she chose a “non-feminine” tractor quilt pattern for him. She was pleasantly surprised when a quilt expert (this author) at a quilt documentation in 1978 expressed delight in seeing both quilts. 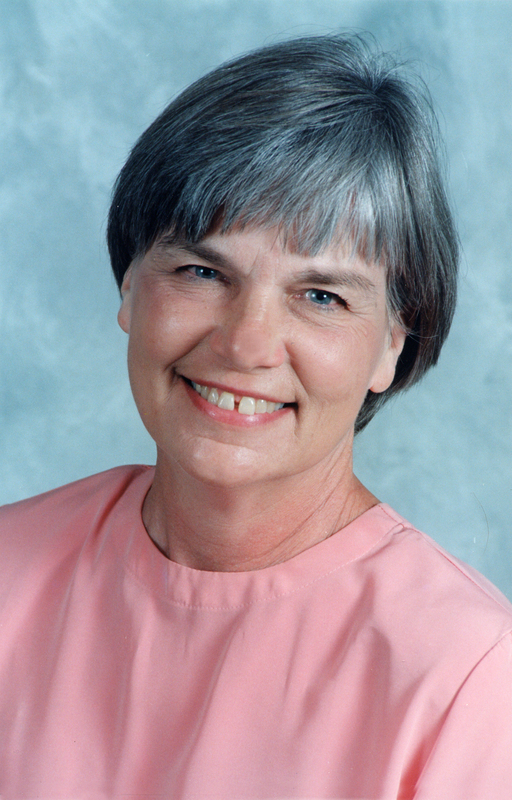 Linda not only made quilts, she took leadership roles in her local quilt guild (Smoky Mountain Quilters of Tennessee), was president of the American Quilt Study Group in 1999, and founded the American Quilt Defense Fund to address the Smithsonian Quilt controversy of 1991 in which the National Museum of American History at the Smithsonian Institution licensed the reproduction rights of antique quilts housed in the museum, including the iconic Harriet Powers Bible Quilt. 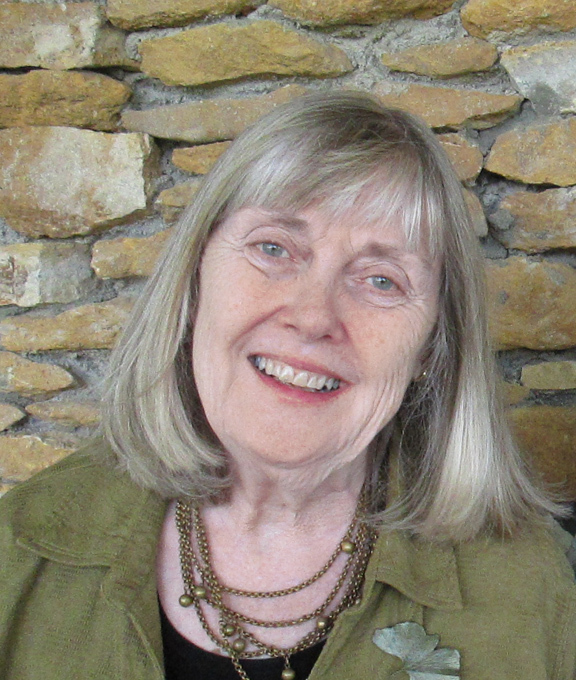 For this follow-up interview in March 2014, let’s first get to know Linda Claussen in her own words as she responds to topical questions posed by Karen Musgrave on October 4, 2002 at the AQSG seminar site in Rockford, Illinois. At some points, Linda will have a chance to reflect on her answers. Her life is much different now. Two of her children now run the family short-line railroad business. Her husband, though retired, continues to explore railroad-related business opportunities. A chronic lung condition has limited Linda’s travels and leadership activities, but she still finds joy in making quilts. She’s also a grandmother of two and still attends Thursday Bee. Describe yourself as a quilter: I do quilt and I’m interested in quilt history. I’m part of a guild and a quilting bee. My activities range back and forth, but quilting is the personal part of my life and sometimes it sits off by itself and sometimes I’m very involved in it. Have you used quilting to get through a difficult time? I’m sure everybody has experienced that quilting kind of trance–almost like a Zen feeling—when you are totally focused on a design process. You step away from everyday issues that you can’t resolve right at the moment. Maybe you can resolve the design process and maybe you can’t. And then there are other times when simply the physical act of quilting, the rhythmic quality of it, is akin to taking a walk and it’s a pleasure. Design Process: There have been times when I’ve had a big quilt on a frame and set it aside maybe for an hour or so due to a physical block to design. That serves a period of stopping you and giving you a sense of stepping out of the pressures that you are dealing with and then get back in there and slug it out or make dinner. Whatever, answer the phone. Workshops: I have in the past enjoyed workshops in places like Arrowmont School of Arts and Crafts in Gatlinburg. I tend to prefer long-term workshops of a week or something like that as opposed to a one-day workshop. Quilt Shows: I will enter my quilts in shows because that is a nice thing to do but I don’t make them for competition and yet I understand that with some of my friends that is what drives them and they get wonderful results for them. It’s just not what I need. Labeling Quilts: I know you should always label your quilts and so on and that’s probably a good discipline. When I get toward the end though, I’m ready to race to the end and go on to something else. Quilting Across Cultures: I think it is really intriguing that women all over the world have an affinity for fiber work one way or the other and I think that common thread so to speak that goes through it is really fascinating. Connecting nationally: [In the 1980s] when the Quilts of Tennessee Project was underway and [two] AQSG seminars were held in Gatlinburg, a whole new doorway was opened for me. I didn’t feel quite as silly as some of my family and friends thought I was when I was making these quilts. So that was a beginning. I was fortunate to find a guild that I enjoyed, even more fortunate to find a group of women that met every week–Thursday Bee. Connecting locally: I have been truly, truly rich. There are four of us at this point that are now I guess you would call charter members which sounds scary but we have wonderful women who come and are a part of our experience doing all kinds of fiber work. Advocating: Some of us got stirred up about the Smithsonian licensing reproduction quilts made in China. And our Thursday Bee group was instrumental in explaining to the National Museum of American History that we really didn’t think this was cool and we came to an agreement that I think settled that issue regarding that specific Chinese reproduction quilt situation. We were able to raise money for a quilt showcase that still stands on the–I think it is on the third floor of the Smithsonian and has a rotating quilt going through there. So we became a little pillar of political activism because Merikay was almost arrested for protesting [laughing.] the issue. 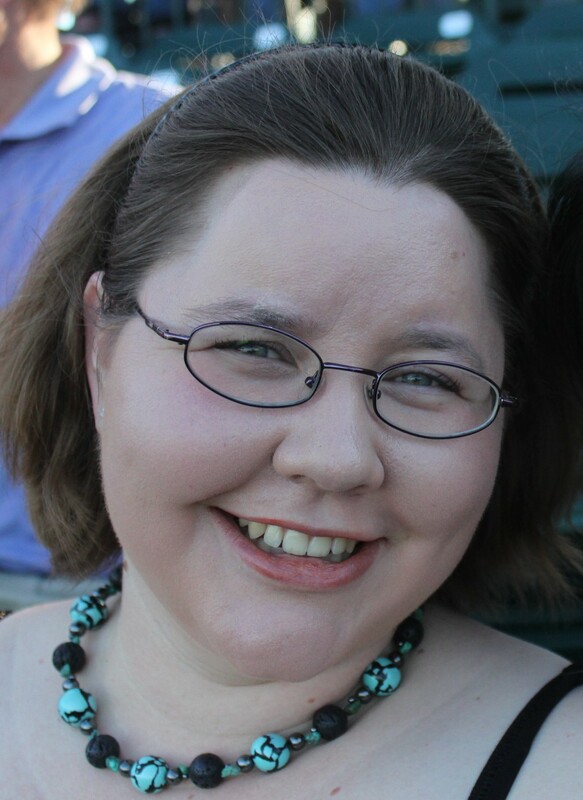 When I first met you [Merikay Waldvogel] and Bets Ramsey, I had a narrow view of things. I’m not just talking about quilts. When you liked the Tractor Quilt and the Little Women quilt, I was surprised, pleasantly surprised. Mine was non-traditional and my mother’s quilt was “uninspired.” She made it from a pattern. And she made two of them! I learned through helping with the Quilts of Tennessee survey to appreciate quilts from all socio-economic levels. The same is true of quilt guilds. I never would have met the women have come to love. They come from all kinds of backgrounds. Their quilts show it, too. There’s a respect for the quilts folks make. Advocating: The American Quilt Defense Fund was born at Thursday Bee. You were upset to find quilts imported from China but labeled “American” in a department store at a local mall. Nationwide other quilters’ efforts to stop the practice were underway, but the Smithsonian was not responding. My husband Pete suggested we form a 501 c-3 non-profit organization and then hire a lobbyist to get access to the Smithsonian staff. We formed American Quilt Defense Fund, you and Pete met with Connie Berry Newman [on November 11, 1992] to try to convince them that more good will and funding might come from the quilt community than from the licensing agreement. 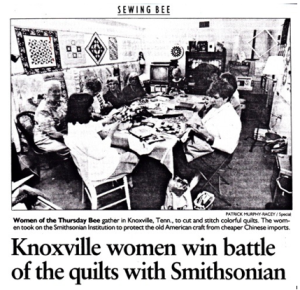 Discussions followed and [on March 20, 1993] an agreement was reached which eventually ended the Smithsonian’s plan to reproduce quilts in their collection. They also agreed to sponsor a quilt exhibition in 1997 and establish a panel of quilters and quilt historians to advise on the suitability of quilts for reproduction. L to R: Constance Berry Newman, Under Secretary, Smithsonian Institution; American Quilt Defense Fund members: Merikay Waldvogel, Becky Harriss, and Linda Claussen at ribbon-cutting ceremony for the American Quilt Legacy Exhibition Case. 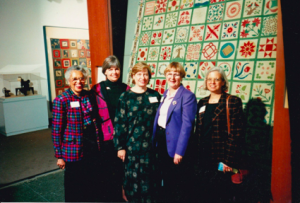 A symposium “What’s American About American Quilts: A Research Forum on Regional Characteristics” was held in Washington, DC on March 18 and 19, 1995. In conjunction with the research forum, the National Museum of American History presented the exhibition “Putting Her Best Quilt Forward: Exhibiting at the Fair” curated by Doris Bowman. The proceedings of the research forum were published in 1998. A high-tech fiber optic quilt display case was installed in the National Museum of American History, with a ribbon cutting [on March 1, 1996]. Various quilts from the collection were showcased periodically. When the building was closed for renovations recently, the case was removed, but at least one quilt is displayed in the lobby. The Smithsonian ended the contract to reproduce their quilts in China. They entered into a contract with Cabin Creek Quilters in West Virginia to design and make quilts which were sold for a time through Lands’ End catalog. More than 20 years later, are you concerned about quilts being imported overseas? No. It’s become a non-issue. It was Harriet Powers’ Bible Quilt that touched a nerve. Her quilt was special. Quilt historians and quiltmakers could relate to this quilt. To duplicate it exactly and sell copies through a catalog was disrespectful. How did the Smithsonian issue affect you and your husband Pete personally? It got me “out of the ditch.” You know quilters “stitch in the ditch.” It broadened my sphere from local to national. I was able to develop skills working with a large non-profit the Smithsonian Institution. Pete got involved later with the National Museum of American History through railroad history. Eventually he served on the Board of Trustees of the Smithsonian Institution. We did a lot of travelling during that period of time. And finally, why is quilting still important to you? It is an indulgence. There is really no need for me to quilt. It is pleasing to see how the colors and patterns interact. In some sense, the pattern is the most important. The repetition provides an opportunity for color play. The colors have a conversation with each other. The Trillium quilt top I am hand quilting right now had pink centers originally, but I decided to substitute yellow prints, but each print is different. One has lady bugs and another has a John Deere tractor. These prints are my personal touches – my humor. This is what I mean when I say a good quilt has to have a sparkle . . . or two. Do you have any final thoughts about the Q.S.O.S. interview process? My interview was just the fourth interview Karen Musgrave did. I give her credit. She came to the AQSG seminar in Rockford, Illinois and asked for volunteers to be interviewed. A lot of people were apprehensive, but I jumped in. We were supposed to have a quilt to respond to. I grabbed something I was working on at the time. Truth be told, I don’t enjoy being interviewed with so little time to consider the questions. That being said it forces you to think about what matters. My answer pertaining to my mother’s Little Women quilts surprised me. I learned to appreciate her quiltmaking in a different way through the eyes of quilt experts. I mentioned how I discovered how satisfying it was to learn that other cultures use textile arts as a form of self-expression. To have a common experience though not necessarily the same with others is confirming. 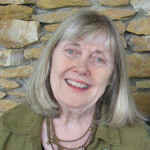 Barbara Brackman, quilt historian, curator and teacher. Barbara is the author of a number of books about quiltmaking and quilt history including the Encyclopedia of Pieced Quilt Patterns and Clues in the Calico: A Guide to Identifying and Dating Antique Quilts and was inducted into the Quilters Hall of Fame in 2001. Christine Humphrey earned her doctorate and master’s degree from the University of Nebraska-Lincoln where she specialized in textile history with a quilt studies emphasis. 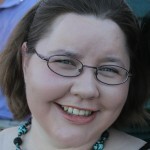 Her scholarship has focused on the roots of American quilt documentation projects from 1980-1989. 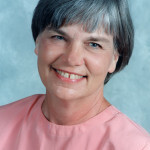 Merikay Waldvogel, author, quilt historian and lecturer. Merikay has written several books about quilts in the 20th century, including Soft Covers for Hard Times: Quiltmaking and the Great Depression and, with Bets Ramsey, Quilts of Tennessee: Images of Domestic Life Prior to 1930. She was inducted into the Quilters Hall of Fame in 2009.